Tomorrow morning, FasTrak accountholders will have eight new miles to drive when the Riverside segment of the 91 Express Lanes opens for the morning commute. 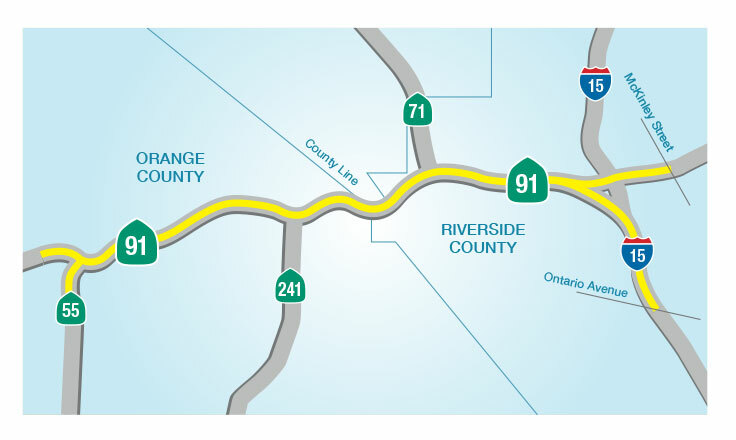 The new Riverside segment stretches from the Orange/Riverside County Line to 1.) McKinley Street on State Route 91 and 2.) Ontario Avenue on Interstate 15 South. There will not be direct access to Interstate 15 North from the Express Lanes. Drivers will be able to travel the existing Orange County segment (between State Route 55 and the Orange/Riverside County Line), the new Riverside segment or the two segments combined for 18 miles of time savings. There will be an entry/exit point at the Orange/Riverside County Line. Westbound State Route 91 drivers can enter the Express Lanes at McKinley Street (State Route 91) or Ontario Avenue (northbound Interstate 15) and exit at the County Line to access the southbound 241 Toll Road. Northbound 241 Toll Road drivers can enter the eastbound 91 Express Lanes at the County Line to travel the Express Lanes through Corona. A toll will be charged for each 91 Express Lanes segment used. Overhead signs at every entry point will display the price for traveling a single segment and the full length of the Express Lanes. Toll rates can also be found at 91ExpressLanes.com. All vehicles, including carpoolers, must have a properly mounted FasTrak transponder issued by a California toll agency for toll collection. A transponder can be used to pay tolls on every tolled bridge, lane and road in California. Tolls on the 91 Express Lanes cannot be paid via license plate or with cash. Carpools of three or more wishing to receive the carpool discount on the 91 Express Lanes must have a FasTrak transponder mounted and travel through the designated HOV3+ lane (the far left lane) at the toll points for both the Orange County and Riverside segments to receive the carpool discount. As part of the Riverside County Transportation Commission’s project, a new general purpose lane is being added in both directions on State Route 91 between State Route 71 and Interstate 15. Auxiliary lanes, interchanges, bridges, ramps and local streets have also been improved through Corona and will open in phases. Anyone who travels between the 241 Toll Road and 91 Freeway knows the challenges that drivers face in this area. Nearly 40,000 cars travel through the northbound Windy Ridge Toll Point every weekday between 3 and 7 p.m.
As those trips descend to the 91 Freeway, they merge with one of the most congested stretches of freeways in the nation. The significant back up is caused by a lack of capacity or space on the 91 Freeway to accept the commuters merging from the 241 Toll Road. And with the current construction on the 91 Freeway by our transportation partners, the Riverside County Transportation Commission, it’s no surprise that congestion is exacerbated. Long story short, the high demand created by jobs in Orange County and affordable housing in the Inland Empire results in too much traffic for the number of lanes available. There are four lanes on the northbound 241 Toll Road as drivers approach the 91 Freeway – two on the left merge onto the westbound 91 Freeway and two on the right merge onto the eastbound 91 Freeway. With the majority of commuters traveling from Orange County to Corona, Riverside and other parts of the Inland Empire, traffic backs up on the 241 Toll Road in the two right lanes, while traffic continues to flow heading west to Anaheim and Yorba Linda. Adding to the bumper-to-bumper frustration are the so-called queue jumpers – drivers who try to bypass the congestion by driving in the left two lanes only to cut-in at the last minute. These queue-jumpers create more congestion and are a safety hazard. Stopping in free-flow lanes and making an unsafe lane change is illegal. California Highway Patrol (CHP) can cite up to four different vehicle codes when pulling over a driver for unsafe lane changes. If you do this, you can be ticketed, but more importantly, you could cause a major accident. 2. Long-term – We are working with Caltrans to propose building a direct, median-to-median, tolled connector directly linking the 241 Toll Road to the 91 Express Lanes. This would add an additional option for drivers headed further east into Riverside or down the 15 Freeway to connect directly into the 91 Express Lanes, bypassing any congestion on the existing connector. As part of the environmental phase, a public review period and public hearing was held in fall 2016 to solicit feedback on this proposed project. The final environmental document is expected to be completed in 2018, to learn more, please visit thetollroads.com/241-91connector. Construction of the direct connector may involve hard separation (such as channelizers or a wall barrier) of westbound and eastbound lanes. So, the next time you drive the northbound 241 Toll Road through the Windy Ridge Toll Point, please remember to be a courteous driver. Stay in the right-hand lanes before you pass the Windy Ridge Toll Point if you are traveling to Riverside County. If you’re heading eastbound on the 91 Freeway, stay out of left lanes when heading down the hill to allow westbound traffic to safely get to their destination. Most of us are rushing out of work to get home and to family functions, but we want to ensure everyone makes it to their destination safe and sound. If you get caught in the westbound lanes, we recommend that you continue west, exit at Weir Canyon and return to the 91 Freeway to head east – that is the safest and most courteous thing to do – and it would make Mom proud! I drive to and from Anaheim Hills and Irvine on The Toll Roads every day. I love my congestion-free drive. But before you begin rolling your eyes at the gal who works for The Toll Roads, I’ve learned new reasons and meaning to love and appreciate my drive. My commute is a free-flowing 25 minutes and provides ample stress-free time to call my Mom from my Bluetooth. I check-in; ask about her day, and how Dad and “the boys” (their three dogs) are doing. Our chats are always engaging and a relaxing way to end my work day, but one thing that never fails is Mom’s daily question, “are you driving the corridor today?” to which I always reply, “Mom, it’s called The Toll Road” (as if a teenager is scolding her Mom for not using cool lingo). This week marks 20 years since the Transportation Corridor Agencies (TCA) opened the first phase of the San Joaquin Hills Transportation Corridor, known to most people as the 73 Toll Road. And in celebrating this milestone, the word corridor brings new meaning to me, my job and a drive that I don’t take for granted. In the summer of 1996, I didn’t yet have my driver’s license, but Mariah Carey’s “Always Be My Baby” was a summer chart topper and “Macarena” was one of the coolest songs out there; Independence Day with Will Smith was also a box office hit. 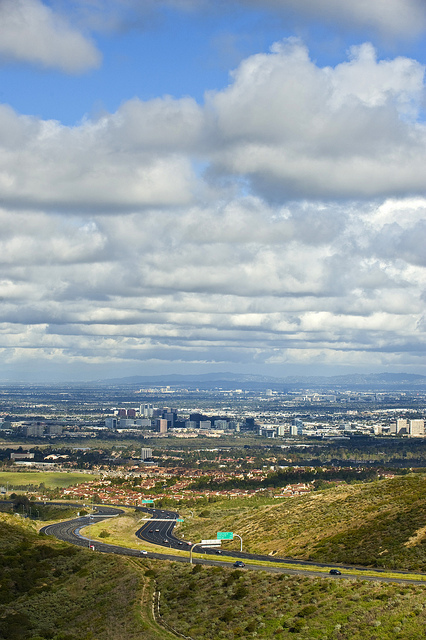 The Toll Roads – 51 miles of open road that serve as alternatives to Orange County’s congested freeways – have always been part of my driving experience, and anyone who’s been driving in Orange County since the late 90’s, knows no different. But to my Mom, who still calls them “the corridors,” they provide a much-needed sigh of relief to Orange County’s gridlock and enhanced the county’s transportation landscape while also preserving open space. 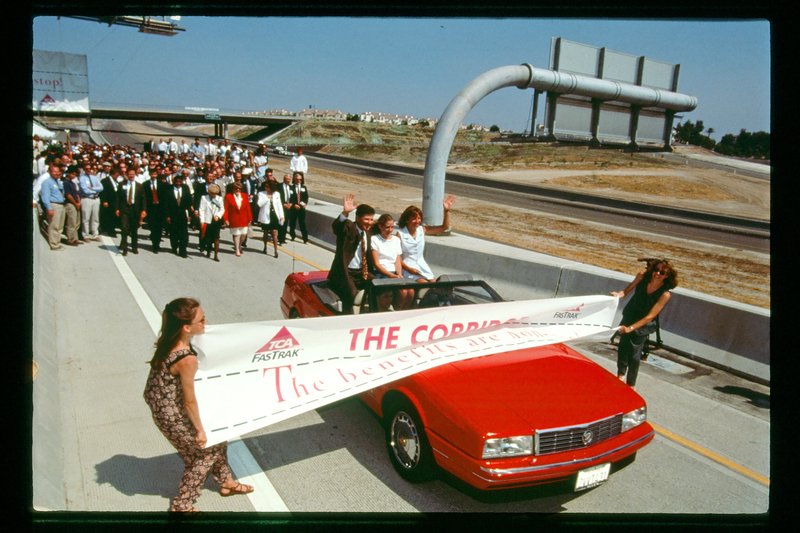 On July 20, 1996, TCA invited residents of Orange County to Cruise the Corridor as they celebrated the opening of the first phase of the San Joaquin Hills Transportation Corridor. I found the invitation and program as I dug through our archives. 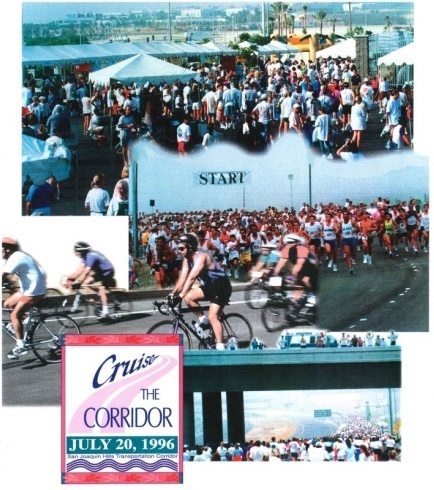 In the summer of ’96, thousands of Orange County residents joined TCA for a fun run to experience the road before it opened to traffic and to celebrate 20 years of planning and nearly four years of construction. The new road was the first seven-mile stretch of a corridor that would ultimately take drivers 15 miles from Laguna Niguel to Newport Beach, providing a new transportation alternative to the 5 and 405 freeways. Leading up to the opening of the new San Joaquin Hills Transportation Corridor, Mom read headlines about TCA’s strong environmental programs used throughout construction and the innovative financing and planning to make the roads possible. The term “corridor” has always stuck with her. Back in the 90’s, “corridor” was a modern term commonly used to describe multiple modes of transportation to move people, such as highways, rail and buses. In celebrating this milestone, I’ve learned to appreciate how the “corridor” enhanced the quality of life in Orange County by cutting commute times, reducing rush-hour frustration and making Southern California destinations more accessible. In those 20 years while the county continued to grow and expand, the “corridor” has always served the same purpose – trips on the 73 Toll Road have more than doubled in 20 years, logging nearly 31 million transactions last year. 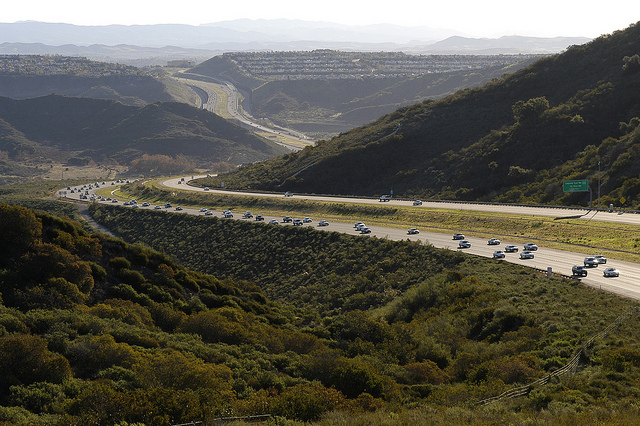 It’s hard to imagine what traffic would be like in Orange County without the 73 Toll Road! In February, we showed our love for our drivers by giving away $50 in free toll credits to four lucky winners. To be eligible to win, we asked drivers to “Like” The Toll Roads on Facebook and leave a comment on the page explaining what they love most about driving The Toll Roads. We received more than one thousand entries and were overjoyed reading the comments. One driver shared that she’s been driving the 241 Toll Road every day for the past 10 years to avoid traffic on her commute. While The Toll Roads save her time, what she loves most about her drive is the view. In spring, the hills are green and flowers are growing and in the winter the mountain tops in the distance are covered in snow. In her day-to day-routine of city life, she told us her daily view of nature relaxes her and it’s what she loves most about her drive every morning. We received many comments from drivers sharing how The Toll Roads help them get to their destination on time with less stress and home to their families quicker at the end of a long day. The heart below displays the words used most in the responses we received. Thank you to all of our drivers who entered. We work hard everyday to ensure that you love your drive. Most people don’t think twice about roads, bridges or tunnels; at least not about how the structures were built or the materials that were used to construct them. And most people certainly don’t think about dirt or give dirt the credit it deserves. Dirt matters – everything around us is supported by dirt, soil or rock. The Transportation Corridor Agencies (TCA) is celebrating National Engineers Week (Feb. 21 – 27) by recognizing its engineering team on Facebook and celebrating how engineers make a difference in our communities. Paul Bopp and Juliet Su, both engineering managers at TCA, recently participated in the 2nd annual Girl’s Engineering Day – Transporting the Future – at Dale Junior High School in Anaheim. Hosted by WTS Orange County, an organization dedicated to the professional advancement of women in transportation; Transportation YOU, an interactive mentoring program that offers young girls ages 13-18 an introduction to a wide variety of transportation careers; and the Anaheim Unified School District, more than 100 young women, grades 7 to 12, from 16 schools participated in a fun and informative day introducing them to engineering and engineering-related fields. Paul and Juliet led the Geotechnical Engineering station, providing an overview of why dirt matters; why foundations are critical to transportation projects; and how to select the best foundation to match the project soil conditions. Geotechnical engineering is a branch of civil engineering that deals with soil and rock and their relation to the design, construction and operation of engineering projects. Nearly all civil engineering projects, including roads, bridges and tunnels, must be supported by the ground and require geotechnical engineering. In short, dirt matters – for our future and growth of infrastructure. Students used wood blocks and sticks to serve as foundations and pile supports in trays of sand and clay to compare how foundations behave with and without pile supports in each type of soil. Everything around us is supported by dirt, soil or rock and geotechnical engineers are responsible for ensuring that. Paul and Juliet’s hope is that these students become our next generation of civil engineers; but for now we’ll never doubt dirt’s importance – or look at a road, bridge or tunnel the same way. Visit facebook.com/TheTollRoads to read more and learn fun facts about TCA’s engineers. In April 2015, the Foothill/Eastern Transportation Corridor Agency (F/ETCA) retained Sharon Browning and Associates to conduct a community ascertainment study to gather input and gain insight on how best to collaborate to address regional mobility challenges in South Orange County. The scope of the study was designed to develop an understanding of the community’s definitions of the problem; priorities to be considered in proposing solutions; and preferences for process, planning and decision making. In-person, confidential interviews were conducted with 45 residents and active community leaders — excluding elected officials — in cities and unincorporated areas in South Orange County. Topics of discussion included Interstate 5 (I-5) mobility challenges, describing the problem, exploring solutions including a need or no need for a State Route 241/I-5 connections, who should lead planning efforts and how planning should be led and exploring the need for consensus. Below is a brief summary and analysis of the findings that will assist in developing a plan for achieving a consensus. The study analyzed the contents of each interview to identify areas of high agreement and areas of lack of agreement, in order for the F/ETCA to focus on areas of agreement in future regional traffic solution planning, particularly around relieving traffic on the I-5 corridor. The environment of the study included discussion around existing I-5 construction, the Avenida La Pata extension, and the local culture, political perspective, values and practices of each community. The study found high agreement in the community that excessive traffic congestion exists along the I-5, north and south from Oso Parkway to Cristianitos Road on weekends, during peak usage times and when accidents occur. The study confirmed the community is greatly concerned about this problem because of its negative impacts on quality of life. The study revealed the community is looking for increased engagement and choices at the local level. The study revealed that the community may not expect 100 percent consensus, rather an open, collaborative problem-solving process led by elected officials with community input. A full report of the community ascertainment study may be viewed in full here. 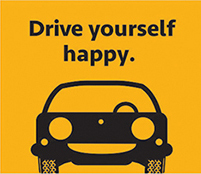 The Toll Roads of Orange County recently launched a new creative campaign, “Enjoy the Drive,” that highlights the reasons people drive The Toll Roads – a stress-free drive on open roads and predictable commutes. With more than 735,000 FasTrak® and ExpressAccount® customers, there is sure to be many more reasons to Enjoy The Drive. Anticipation of hearing the FasTrak transponder beep? Not seeing any red tail lights? Or how about counting down the numbered exits to your favorite destination? 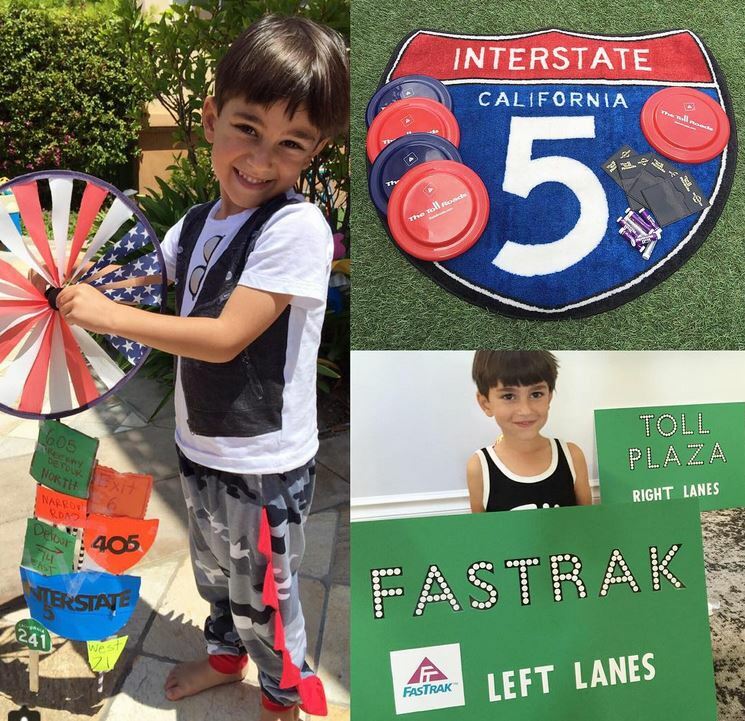 Meet Sebastian – a just-turned-5-year old from Newport Beach who loves all things transportation – roads, bridges, signs, toll plazas and the 73 Toll Road. As Sebastian’s fifth birthday approached, his mom, Briana Vartanian, asked him what theme he wanted and his answer came as no surprise – at least not to his family – The Toll Roads. As mom puts it, Sebastian is fascinated with engineering and he fell in love with the 73 Toll Road when he started preschool last year at St. Margaret’s Episcopal School in San Juan Capistrano. 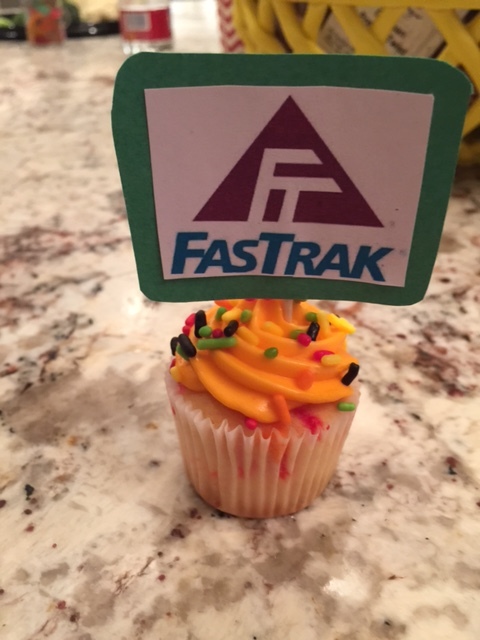 As a FasTrak accountholder for 12 years, the 73 Toll Road was a no-brainer for their daily commute to and from school. Driving the 73 Toll Road multiple times a day, five days a week, Sebastian grew to learn, familiarize and literally Enjoy The Drive on The Toll Roads. He’s studied the map, locations of ramps and toll plazas, and with his stop watch, tracks how long it takes to get to and from school and compares the data from day to day. And if you ask Sebastian which exit is his favorite; well number 12 of course, because that’s where he takes his golf lessons. 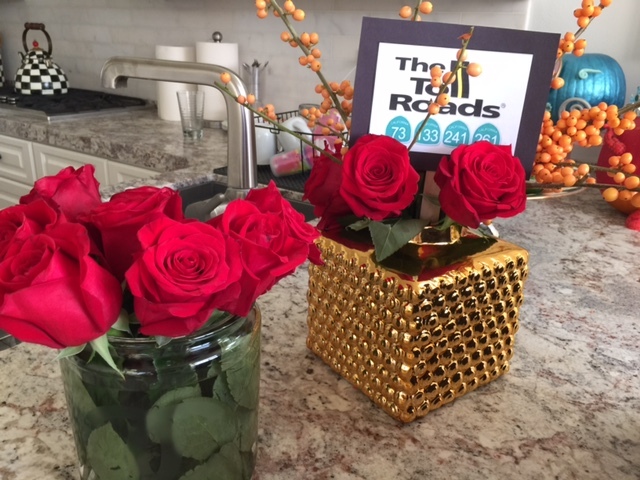 As the party planning began, TCA’s Communications department received one of its most unique calls to-date – party favors for a toll road themed birthday party. We were happy to participate and thrilled someone outside the office shares a passion for the roads as much as staff. We sent a handful of giveaways and favors and could hardly wait to see the party’s pictures. 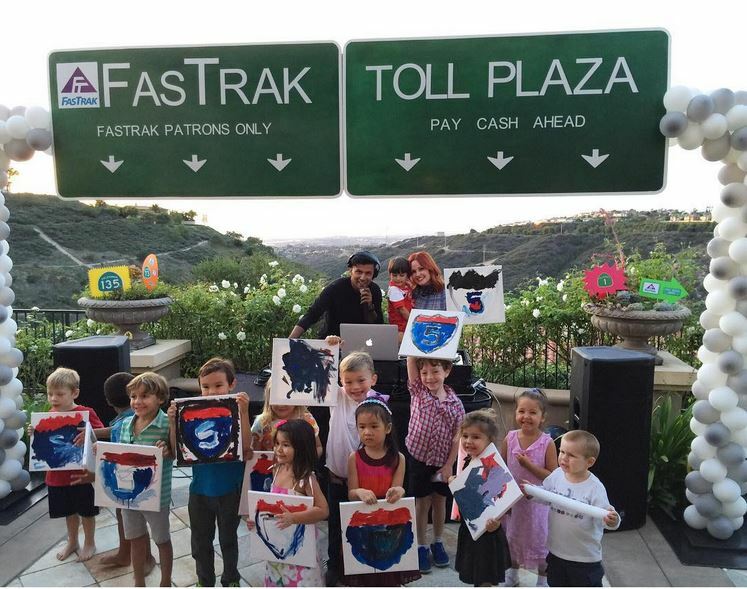 Briana spent two months planning Sebastian’s transportation and highway themed birthday party creating custom cupcake toppers with The Toll Roads logo and center pieces highlighting each Toll Road in Orange County. She also hired a balloon artist to create a custom arch – or pseudo toll plaza – complete with The Toll Roads signs overhead. The icing on the cake, all of Sebastian’s friends painted their own version of the Interstate 5 highway sign because Sebastian was turning five, just like the I-5. Sebastian’s enthusiasm for The Toll Roads gives us at The Transportation Corridor Agencies reason to smile. We realize our 51-miles of open road don’t just offer you nonstop driving, it provides you a choice to get home to your family faster, be the first to arrive to work on a Monday morning, and simply, Enjoy The Drive. Tell us how you Enjoy The Drive in the comment section below and check out our Enjoy The Drive campaign’s video. Happy Birthday, Sebastian, and cheers to many more happy moments on The Toll Roads of Orange County! The San Joaquin Hills Transportation Corridor Agency has successfully refinanced $1.4 billion of its $2.2 billion in outstanding debt issued to fund construction of the 73 Toll Road. The bond issue was well received by the market with $2.5 billion in orders for a bond issue sized at $1.4 billion reflecting the 73 toll road’s performance, rating upgrade and confidence in the credit profile. By taking advantage of the current low interest rates, and selling bonds with a nominal maturity of 2050 compared to the current 2042, the annual debt service growth is reduced from 8.8 to 1.7 percent over the next ten years. The interest rate on the restructured bonds averages 4.74 percent. The previous average was 5.72 percent – a reduction of nearly 100 basis points. “The combination of low interest rates, improved credit rating, and strong investor response resulted in a net present value savings of $44 million,” said Amy Potter, Chief Financial Officer for the Transportation Corridor Agencies. “With this new long-term sustainable debt structure and conservative growth outlook for the 73 Toll Road, the agency will have greater financial flexibility moving forward which may allow the agency to moderate future toll rate increases, withstand economic downturns and potentially pay off the debt ahead of the 2050 final maturity date,” said Michael Kraman, Chief Executive Officer for the Transportation Corridor Agencies. $1.1 billion in tax-exempt Senior Lien Current Interest Toll Road Revenue Bonds, with a 1.3-times coverage ratio requirement. $300 million in tax-exempt Current Interest Junior Lien Toll Road Refunding Revenue Bonds, with a 1.1-times coverage ratio requirement. Standard & Poor’s and Fitch Ratings have rated the agency’s Senior Lien Bonds BBB- and the Junior Lien Bonds BB+. Both ratings are higher than the agency’s previous ratings. Caltrans will be performing a FULL CLOSURE of the northbound 241 Toll Road from Antonio Parkway to Santa Margarita Parkway on the following nights this week for pavement profiling in advance of the resurfacing of the roadway. During these times the northbound 241 Toll Road onramp from Antonio Parkway will also be closed. Wednesday (9/10/14) from 9 p.m. until 5 a.m. Thursday morning. Thursday (9/11/14) from 9 p.m. until 5 a.m. Friday morning. Friday (9/12/14) from 10 p.m. until 6 a.m. Saturday morning. DETOUR: All northbound 241 Toll Road traffic will be routed off at the northbound Antonio Parkway off ramp. Traffic will then be directed left onto Antonio, right on Avenida Empresa and right onto Santa Margarita Parkway where they can re-enter the northbound 241 Toll Road at the Santa Margarita Parkway northbound onramp. 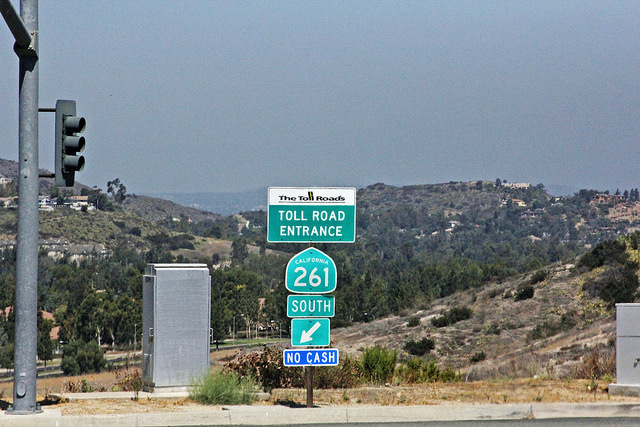 After cash toll collection ended on Orange County’s toll roads on May 14, a program was implemented to ease drivers’ transition to the new all-electronic toll collection system. The transition program — originally put in place through the long Labor Day weekend — has been extended as The Toll Roads continue to evaluate data about usage, payments, feedback from customers and reports from customer service representatives. • Penalty fees for first-time violations are waived if the tolls incurred are paid within 30 days of receiving a notice of toll evasion. Approximately 40 percent of violation notices are sent to people who have never before received a violation notice. • Drivers without a pre-established tolling account can pay tolls online within seven days after driving the roads using the One-Time-Toll™ payment option. 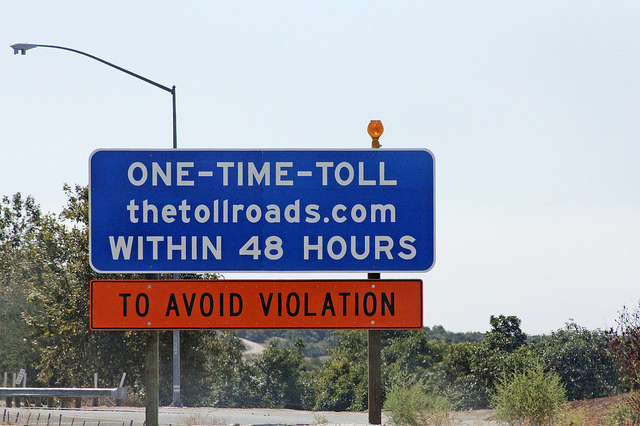 One-Time-Toll was developed to be used within 48 hours of driving the roads. Data is being reviewed to determine if the One-Time-Toll payment timeframe will be extended permanently. • Additional road signs have been installed. There are now 414 signs on the roadway informing drivers that they are on a tolled road; that cash is not accepted; that tolls can be paid electronically via a pre-established account or online using the One-Time-Toll payment option; and that a violation will be issued if tolls are not paid. • Information about the closure of cash booths and how to pay online has been added to changeable message signs located on freeways leading to The Toll Roads. • Information about the penalty relief for first-time violations is inserted into first-time violation notices. The notice also includes information about how to sign up for a FasTrak® or ExpressAccount® for future trips. • To support the conversion, 14 employees were added to the customer service department. Six additional temporary customer service representatives have been added and 20 more are in the process of being added. • Forty-six additional phone lines are being added to the customer call center. To accommodate callers. • Adjustments have been made to information on the website to address common questions. • Outreach programs to the general public; Spanish-speaking community; tourism industry; rental car agencies; seniors; college campuses; and military are being expanded and revamped as needed. 1. FasTrak: Establish a prepaid account, pay tolls that are $1 less than all other drivers pay and receive a transponder that allows you to pay tolls electronically on every tolled bridge, lane and road in California. 2. Charge ExpressAccount: Establish an account with no prepayment. Drive The Toll Roads and your daily tolls are charged to your credit card. You cannot use this account to pay tolls on any other bridge, lane or road. 3. Invoice ExpressAccount: Establish an account with no prepayment. Drive The Toll Roads and, at the end of the month, receive an invoice for your accumulated tolls. This account includes an invoice fee. You cannot use this account to pay tolls on any other bridge, lane or road. 4. Prepaid ExpressAccount: Establish a prepaid account. Drive The Toll Roads and tolls are deducted from your prepaid account. You cannot use this account to pay tolls on any other bridge, lane or roads. 5. One-Time-Toll payment option: Drive The Toll Roads and within 48 hours after your drive, use our website or free app to pay your toll(s) with a credit card.